A former Portuguese colony, independent since 1975, after several years of internal war a peace agreement was reached in 1992. A Presidential Republic. Situated in southern Africa, Mozambique borders South Africa, Zimbabwe, Zambia, Malawi, Tanzania, and Swaziland and washed by the Indian Ocean for over 2500 km of coastline. 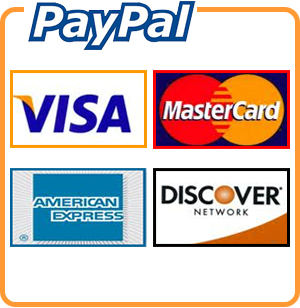 The main resources are fishing and agriculture, and natural resources such as gas, graphite and titanium. 19 million inhabitants of which 43% are from 0 to 14 years old. The infant mortality rate is 130 per thousand. Almost 50% of children do not attend even primary school. Illiteracy stands at 70%. 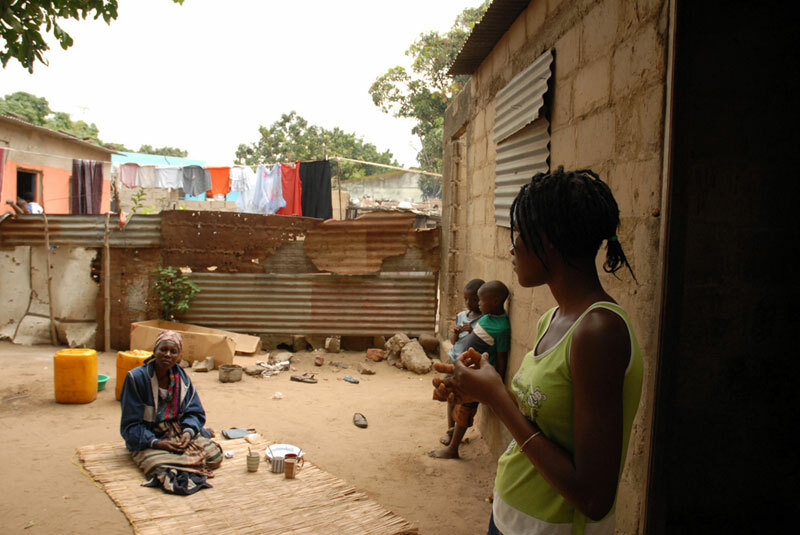 The average life expectancy has dropped in recent years from 42 to 39 years because of AIDS. In 2003 over 13% of the population was infected with HIV and in the same year, there were over 110,000 deaths from the disease. The population professes from 30 to 35% to be Christian, from 25 to 30% Muslim, the rest practice traditional local religions. 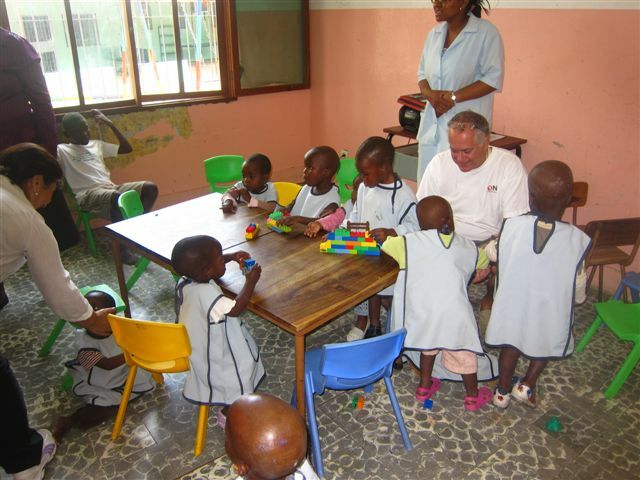 At Catembe, in the outskirts of the capital Maputo, Africaon with the local correspondent “Mercedarias Missionarias” and in collaboration with other local and European NGOs has created a girls’ orphanage, “Tiberias”, for orphaned and/or HIV-positive children. 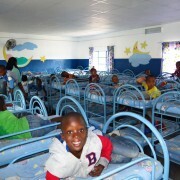 The center, which opened in the current arrangement in 2007, now houses about fifty children from one-year olds on up. The center provides both educational pre-school and recreational activities while children of school age attend the existing schools in the district. 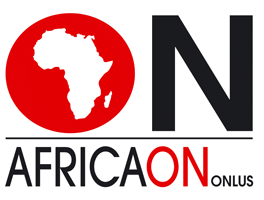 Moreover throughout the years Africaon has realized: in 2009 a photovoltaic roof in order to make up for frequent power cuts and freezers and refrigerators were purchased. Africaon, as well as other NGOs, European and local organizations contributed to the construction of the building, which was inaugurated in January 2014. 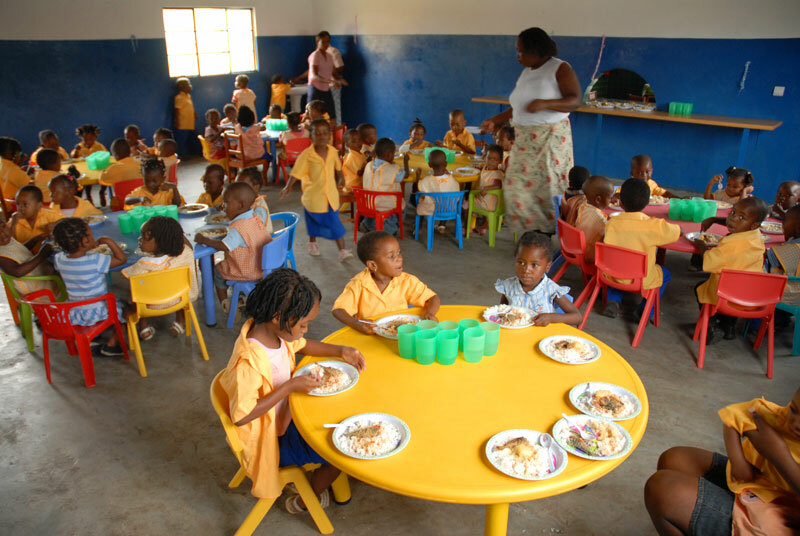 The kindergarten is currently attended by about 100 children, and the service also indirectly benefits their families (approximately between 500 and 700 people). The families of the children are asked, where possible and according to the family’s resources, a small registration fee. This contribution is very important not because of the actual economic contribution to the maintenance of the center, but in order for the community to participate jointly in the functionality of the structure and protecting it as a “common good”. Part of the building is made available to the community for the organization of events (cultural, weddings, parties etc.) thus ensuring, through the rental of the spaces, revenue that will contribute to the support of the kindergarten. 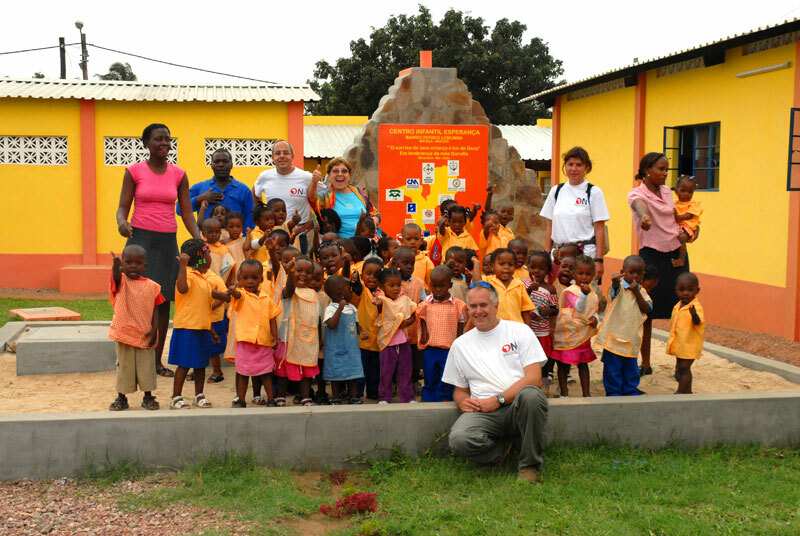 The Machava project dates back to 2006 when Africaon was invited to collaborate on a major project for the construction of a kindergarten in a remote location a dozen kilometers from the capital Maputo. 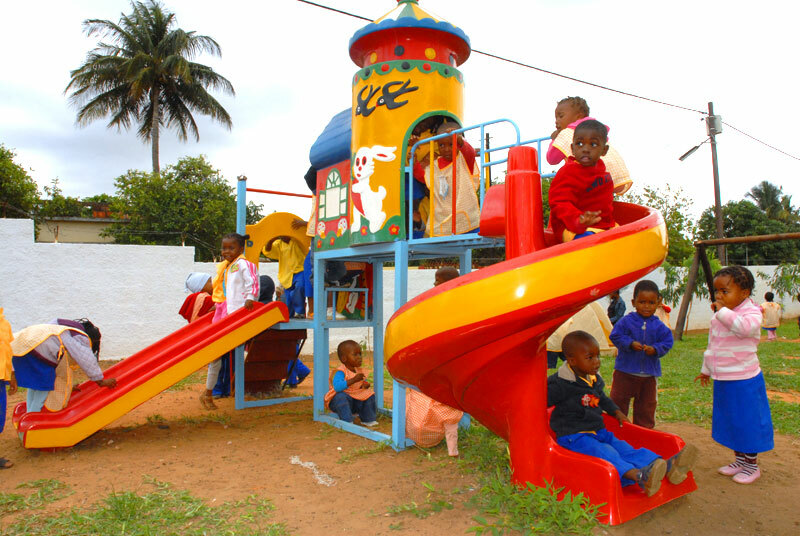 The community district, very populous and poor, had been requesting this project for years, asking for a quiet and safe place where their younger children could spend many hours of the day. Work began in 2006, and ended with the opening of the facility on May 17, 2007. Concomitantly to the opening meetings were also initiated with the local community to set up a Community Committee of families that, as well as maintaining contacts with Centre educators, is responsible for ensuring that the school becomes a true reference point for the neighborhood’s social problems. The nursery has always been very popular also because access to daily distribution of varied and abundant meals helps to alleviate one of the problems facing many poor families: the availability of food. 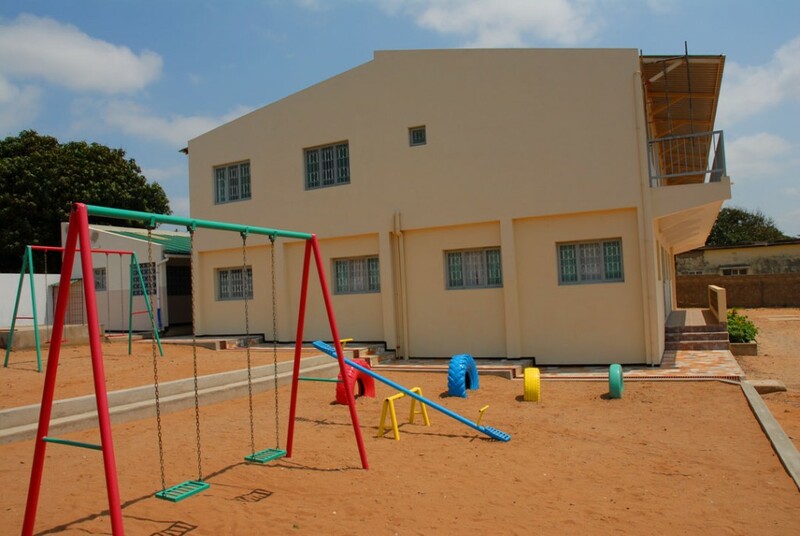 Thanks to the inclusion in the program of distant support of a few children attending the Africaon kindergarten, after having participated in its construction, has guaranteed over time its continuing support to maintain the optimum efficiency of the structure. The interventions held over the years 2009, 2010 and 2011 met different needs that have gradually arisen that were not covered by the registration fees and other sources of revenue: food support with the purchase of provisions, realization of a traditional kitchen and an inexpensive one that is low-cost and has low environmental impact, purchase of educational materials, copiers, furniture etc. In 2012, 2013, 2014, interventions were concentrated primarily on the implementation of building works for the improvement or maintenance of the structure. 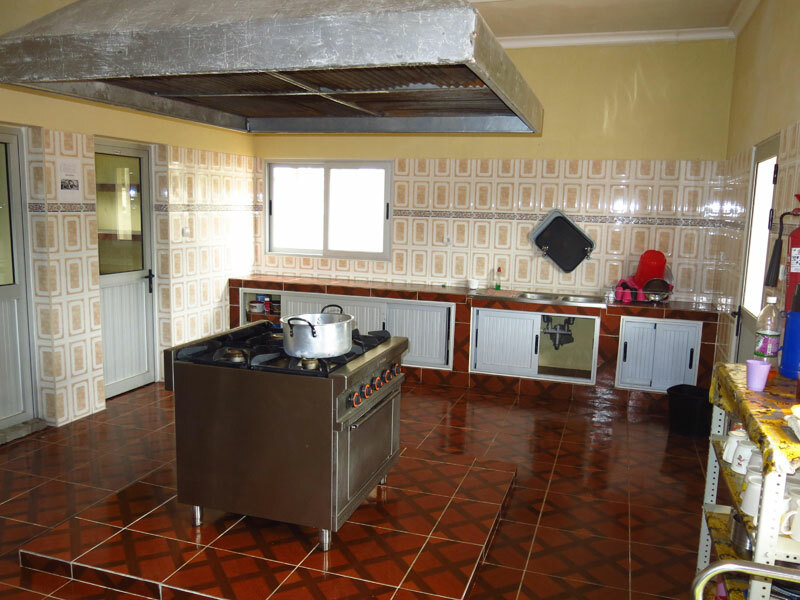 In particular, we intervened in the raised part of the roofing allowing greater ventilation of the classrooms, in the total renovation of the toilets that are now more functional and with special devices to reduce water dispersion. 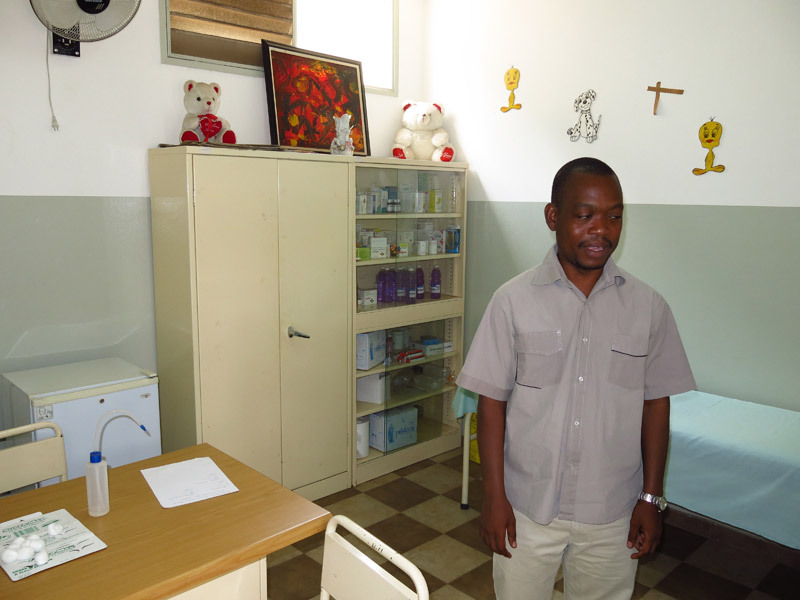 In 2011 Africaon began a project in Mozambique to support the Infantario “Primeiro de Maio” in Maputo. 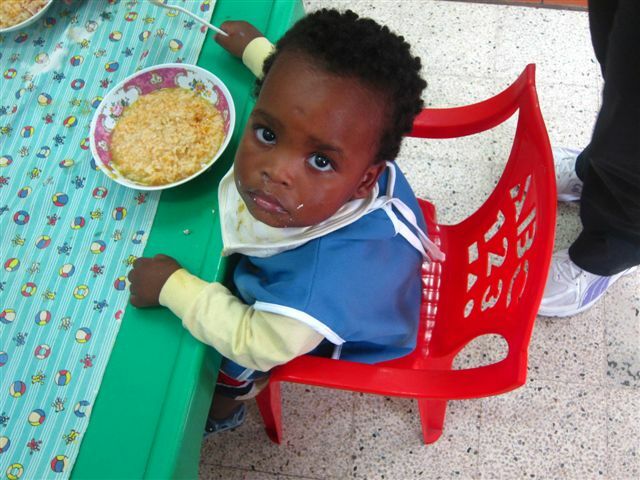 The Infantario is a shelter open to all children in need: orphans, abandoned, abused by their families of origin, in need of care. It is located in the center of town and close to the central hospital. Hence children come to the center because they are orphaned or abandoned by their parents or taken away from them due to abuse. The kindergarten is a government-run center, an institution of the Ministry of Women and Social Services. Open 24 hours a day and 365 days a year it was designed to host in stable, albeit transitory, form children from 0 to 5 years of age. 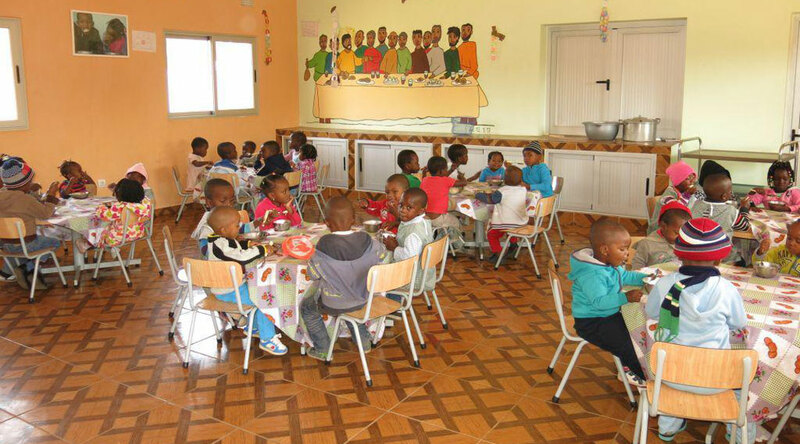 The center can accommodate up to 55 children, and thanks to the great work they do they manage to accommodate more than 250 children every year. 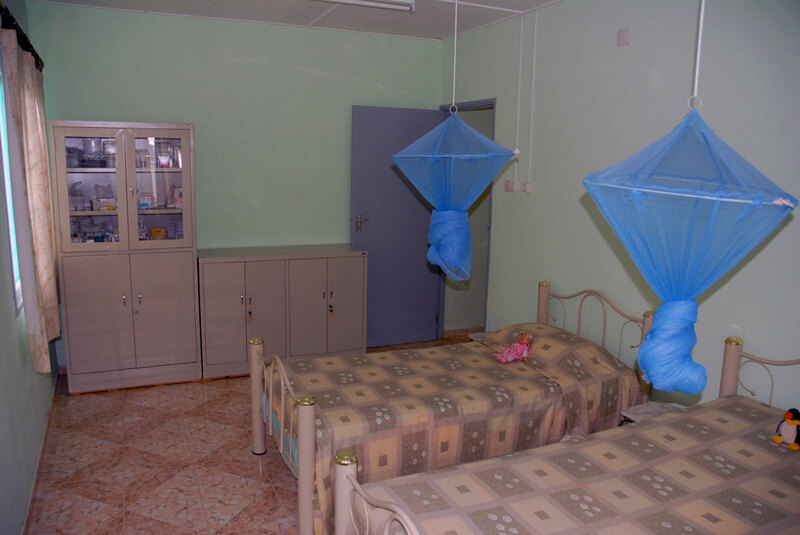 Due to the temporary nature of the accommodation and the quick passage of the children who are not always given more precise rules of behavior many parts of the structure deteriorate quickly (mattresses, pillows, sheets, window mosquito netting and netting suspended over beds, the latter often mistaken for a toy). Renovation of the top of the windows, mosquito nets. 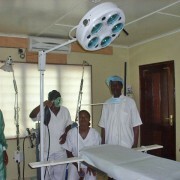 In late 2010 Africaon launched an initial project in the health sector, a fully operational project and with a high degree of community value. The intervention came about to compensate the lack of decentralized first aid structures in areas distant from hospitals. 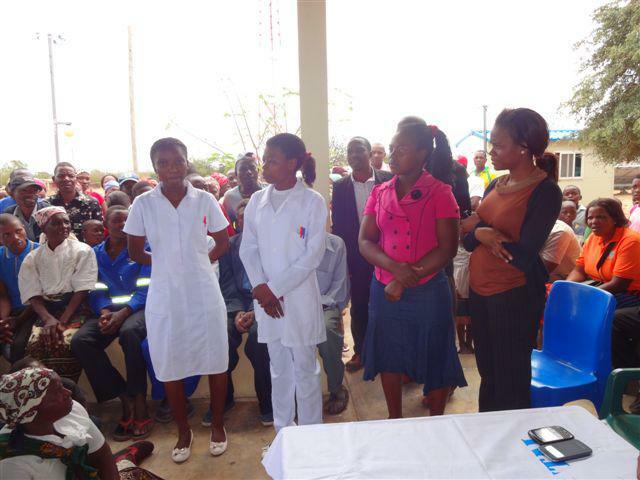 The project was initiated with our local partner Kulima (a non-governmental organization in Mozambique) and supervised by the Ministry of Health which are long-time advocates of the implementation of projects such as the one described below. 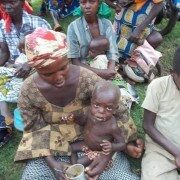 The difficulty in accessing the most basic health service (without walking for a few dozen kilometers, often on foot or with makeshift means) means that for the inhabitants of rural areas of the province of Maputo, it is almost impossible to get treatment for easily diagnosable and treatable disease or illness. Moreover, pregnant women, because of their situation, are unable to receive basic monitoring of their conditions in pregnancy. 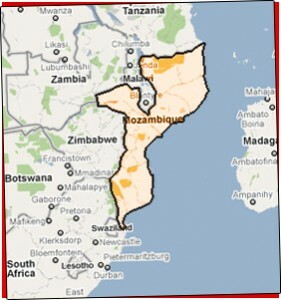 To remedy this situation Africaon, in coordination with the competent authorities, after having identified the areas where these is the greatest scarcity of healthcare systems in the seven districts of the province of Maputo (Magude, Moamba, Namaacha, Matutuine, Manhiça, Boane, Marracuene) chose the town of Porto Henrique, Namaacha to start construction of the first healthcare center (social pharmacy). The resort of Porto Henrique is about fifty kilometers from Maputo, and is very close to the border with Swaziland. 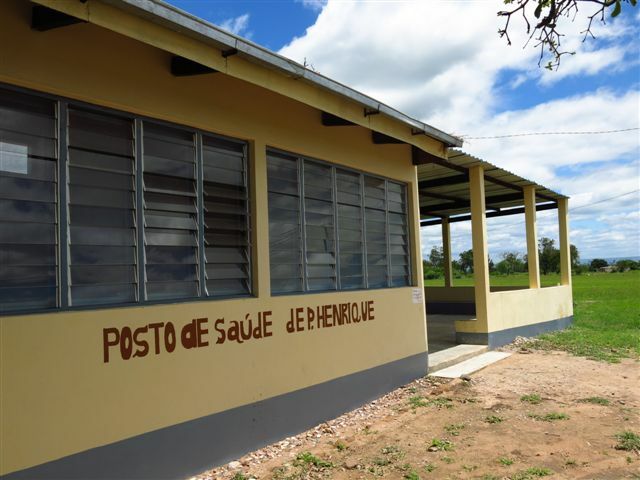 The catchment area of the social pharmacy is about 3,500 people of which 1,500 residents in Porto Henrique and 2000in the surrounding countryside. The construction of the structure was completed in 2012. The work was then passed on for the kickoff to the local authorities (Ministry of Health), who currently manage the property, ensuring the daily presence of medical or paramedical personnel, medical supplies, supply of scientific instruments etc. Thus the “Social Pharmacy” today offers an essential and quality service to the community ensuring hundreds of admissions and monthly consultations. This section lists several projects espoused by the association and realized in collaboration with other associations and local entities. In early 2010 in Maputo, Mozambique, Africaon launched an information and awareness campaign to support the project described below. 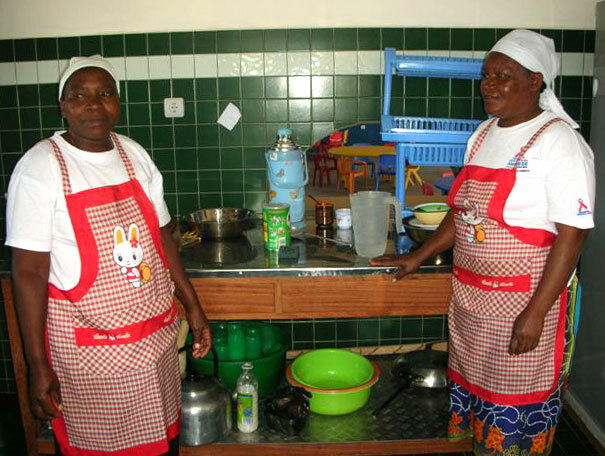 The project was developed in agreement with one of our local partners, Kulima, a Mozambican non-governmental organization present in five provinces of the country and working in the area for over twenty years. 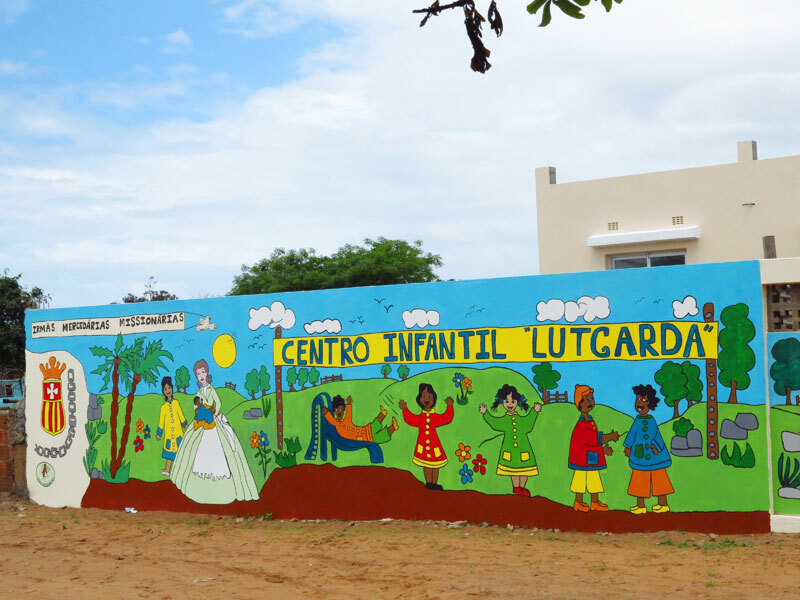 The organization is one of Mozambique’s most important development organizations and collaborates with important international partners. 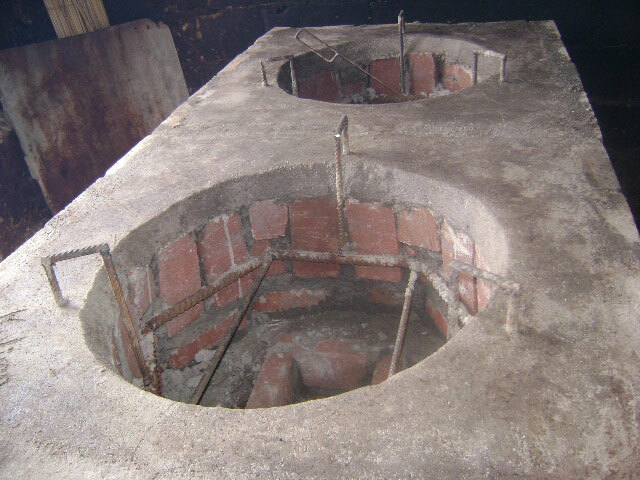 The project aims to encourage the marketing and use of more efficient industrial stoves in public and private facilities that offer canteen service for the local community in the city, the outskirts and in the Province of Maputo. 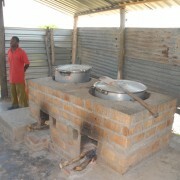 Up to now we have placed some forty inexpensive stoves in Maputo.